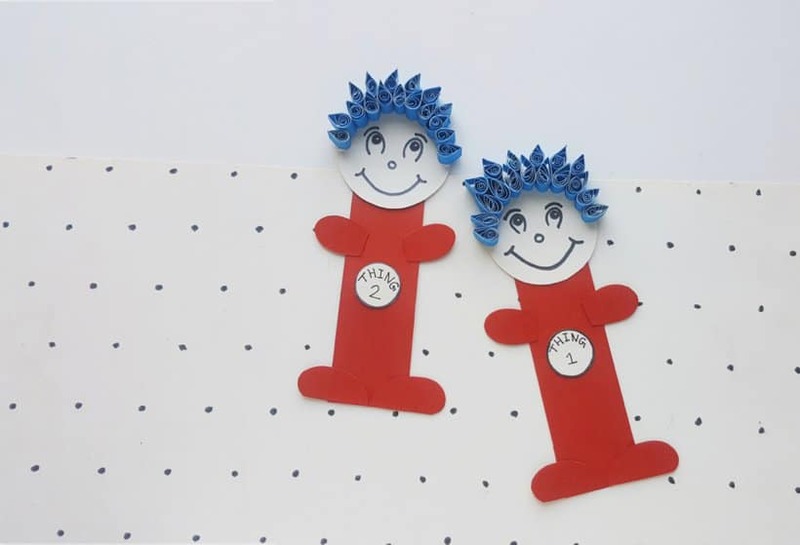 Thing One and Thing Two are iconic Dr Seuss characters. 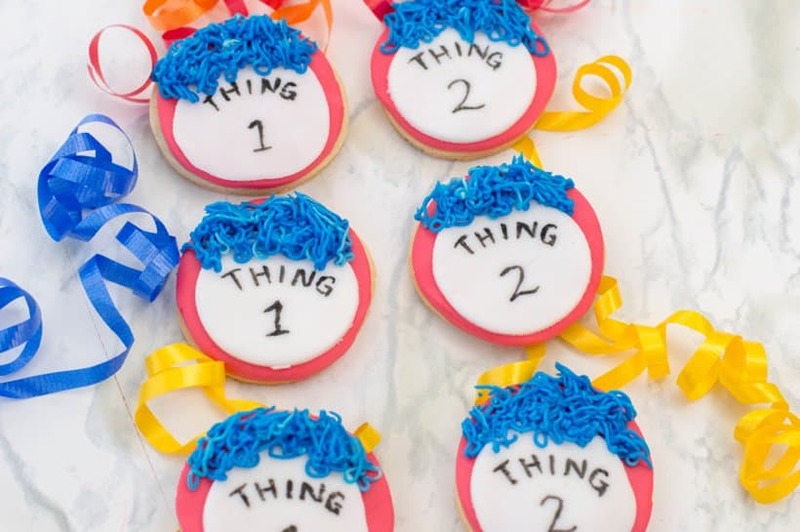 You certainly can’t have a Dr. Seuss Day celebration without Thing One and Thing Two! 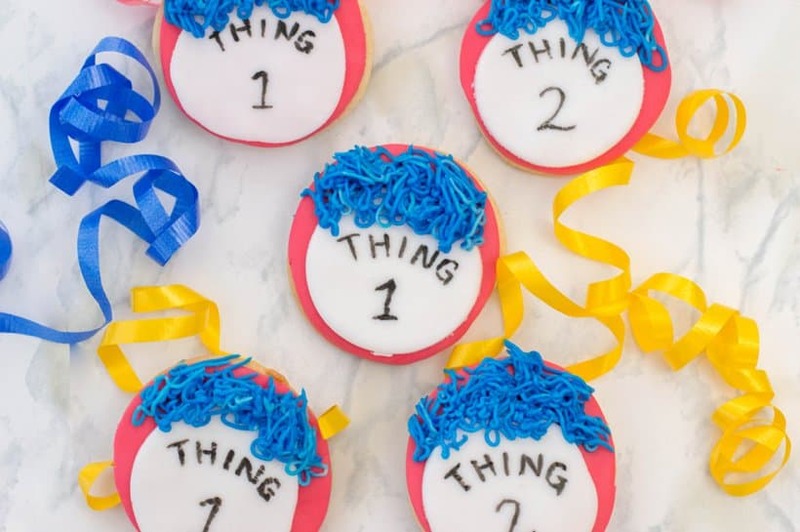 These Thing One and Thing Two cookies are definitely the perfect addition to your Dr. Seuss Day Party! 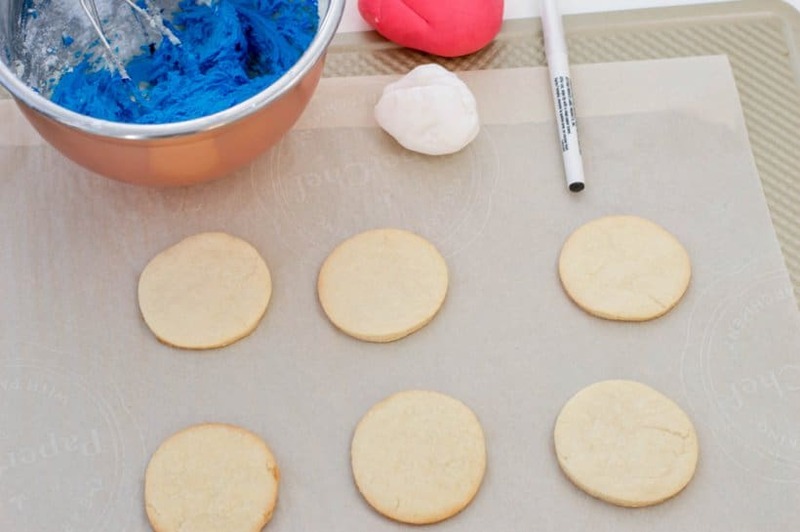 Roll out your cookie dough on a floured surface and cut out 12 cookies with a circular cookie cutter (about 3 inches in diameter). Place cookies on a lined baking sheet and bake according to recipe’s directions. Once the cookies are done baking, allow to cool completely on a wire rack. Roll out your red fondant on a clean, non-stick surface (cornstarch should be able to do the trick). Cut out 12 circles, using the same cookie cutter that you used for your cookies. 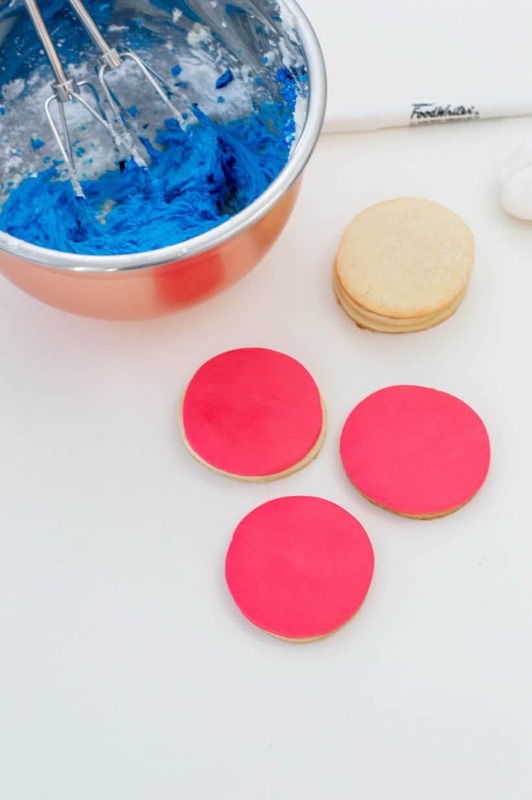 Press one red fondant circle on each cookie. Now, roll out your white fondant and cut out 12 circular pieces using a 2-inch cookie cutter. Press one white fondant on each cookie. 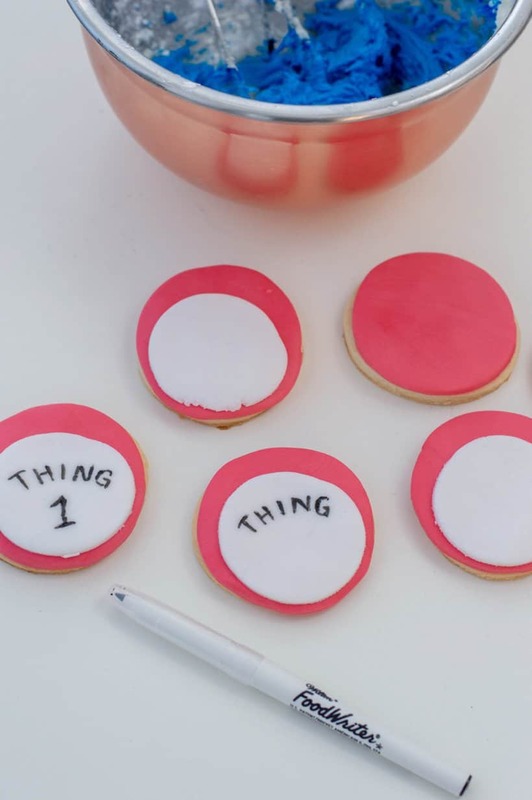 Using your edible black marker, write out “Thing 1” on every other cookie – right in the center of the white fondant. 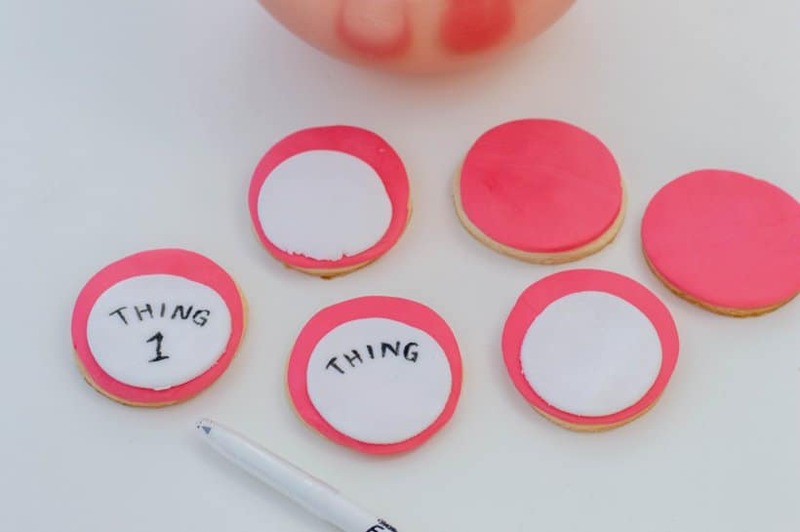 Do the same but writing “Thing 2” for the rest of your cookies. Using an electric mixer, beat together butter, confectioners’ sugar and milk. Mix on medium speed. Gradually increase the speed to high and once the buttercream starts to form, tint it with blue gel food coloring. 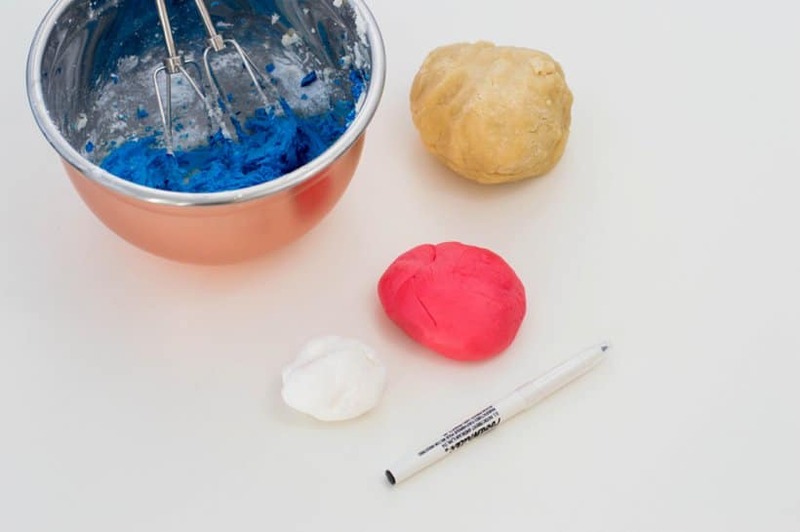 Scoop your blue buttercream into a piping bag with Wilton icing tip #233 attached. Frost the top of each cookie. Serve and enjoy! 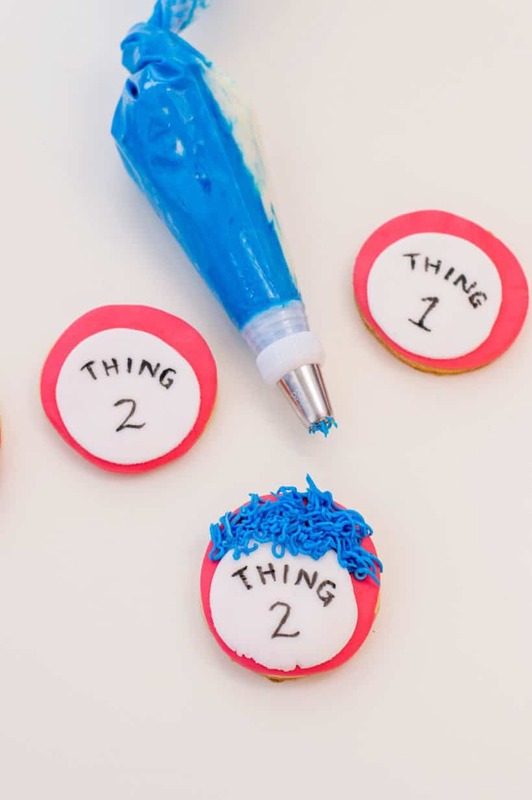 No Dr. Seuss Day Party would be complete without a Thing 1 and Thing 2 craft. 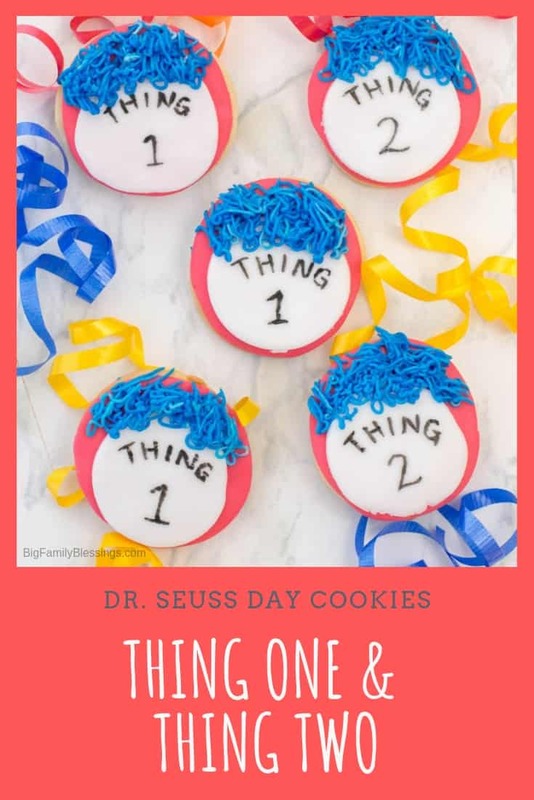 If you love these Thing One and Thing Two Cookies, you’re sure to love my Green Eggs and Ham Deviled Eggs and One Fish, Two Fish, Red Fish, Blue Fish Cupcakes!